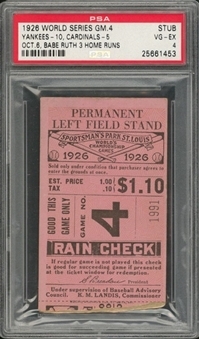 Game 4 of the 1926 World Series between the New York Yankees and St. Louis Cardinals saw Babe Ruth become the first MLB player to hit three home runs in a World Series game. Ruth went deep twice off Cardinals starter Flint Rhem and once off St. Louis reliever Hi Bell to set a World Series benchmark that has never been surpassed. To this day, only Ruth, Reggie Jackson, Albert Pujols, and Pablo Sandoval have hit three homers in a Fall Classic game. The Yankees went on to win this game 10-5, although they would fall in seven to the Cardinals. 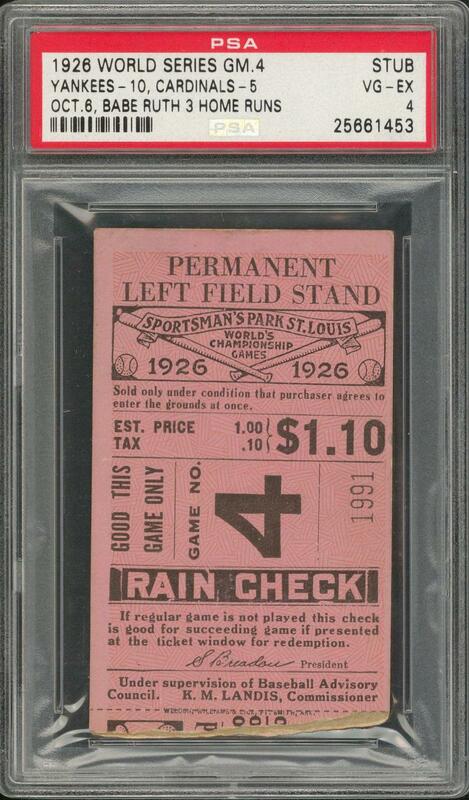 Offered here is a ticket to Game 4 of the 1926 Fall Classic, which was held at Sportsman’s Park in St. Louis. 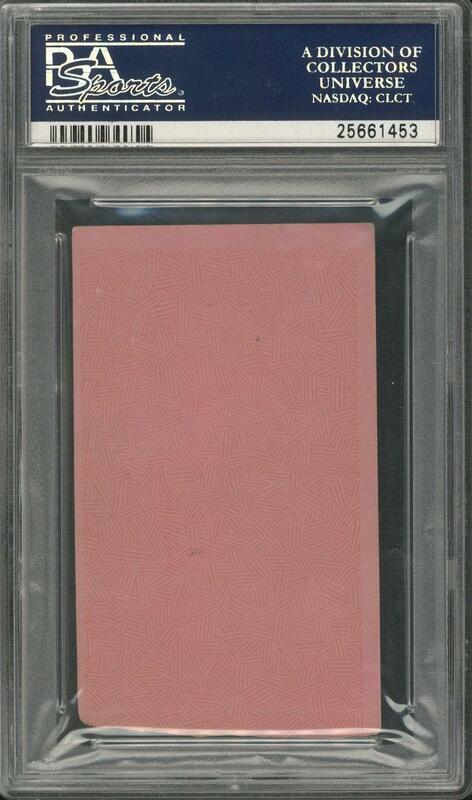 This ticket stub has been encapsulated and graded a VG-EX 4 by PSA/DNA (25661453).